#2 Company in the US GM wants 100% tax abatement? CherieGentry wants to know every-one's opinion on the GM Parts plant coming to Monroe with 100% 15 year tax abatement. She started a conversation earlier today, already councilman Bob Kelley has shared his opinion. 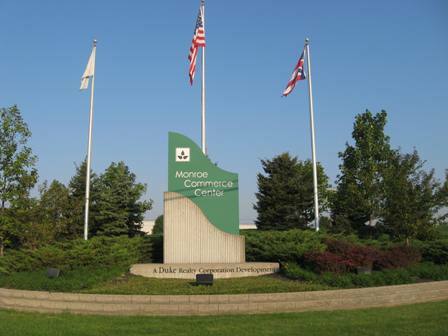 The proposed GM plant will be located in Monroe's Commerce Center. This isn't the first time City Manager, Bill Brock has been involved in such a large scale and controversial deal. If we dont jump on this, some other city will. It would be great for us to bring a big ticket business into Monroe. 185 new jobs sounds good to me. I dont think it could do anything but help the community. I am not of the mind that progress is defined by building things and more is better. I would not like to see Monroe become West Chester though it appears that is the direction we are going and alot faster than I care to travel. I don't like the tax abatements although I understand that if Monroe doesn't give them somebody else will. If we are to grow by adding more, we could do a lot worse than GM. These are quality jobs and a quality company that will bring a sustained if not higher standard of living to this community. I like this much better than a bunch of stores going in that will only make it harder to get in and out of town and add little more than the current fleas. These are good paying jobs that will be here in 14 months with a chane of more in the future. So everyone is aware, the "Council" has had no meetings of any kind with GM. This deal has been put together by Mr. Brock with no direction from council. The Mayor and I found out they were meeting with the school from one of the school board members who brought it to our attention. While it took many months and a few meetings to provide information for the other developments we did incentives for, Mr. Brock has placed this on the agenda with a recommendation to pass it with no real information or even the opportunity for council to question this. In my opinion this is not how the process should work. All of the jobs are already filled by out of town employee's. We already have abated property in the area they want to build, is it worth giving up more? [br]If we dont jump on this, some other city will. It would be great for us to bring a big ticket business into Monroe. 185 new jobs sounds good to me. I dont think it could do anything but help the community. Wow and why does everyone get what they ask for? Its not considered negotiation when only one side makes the deal. [br]All of the jobs are already filled by out of town employee's. We already have abated property in the area they want to build, is it worth giving up more? If the jobs are already filled from out of towners then I say NO. It will only put more strain on the school and this area in general. If local people can get the jobs then I would say YES. There's not enough local tax to offset the downside. New Jobs? Read the second article.... "Brock said it is not known whether GM will move employees from other locations to the proposed Monroe facility." They want to locate down off of Salzman Rd. They estimate 185 employees which equates to 370 additional trips on 63 not to mention 160 to 180 trucks a day. which equates to 360 to 380 additional truck trips a day on 63. All right through the Britton Lane and Yankee rd intersections where our kids are. The last traffic study I saw reflected we were already at mid 20's in the percentage of truck traffic on 63. Adding 750 more vehicles a day half of which being trucks running around the clock are bound to create additional issues. There is no mention of off site improvements being made to any of the roads, extended turn lanes etc. No mention of signal improvements or who will pay for those.